← What Next for the SAP IG? After many helpful debates with many SAP friends over the past few years, we realized the need for a textbook dedicated to strategy-as-practice ideas. Such a textbook was something our students have also been asking for. This dual need is not surprising: our great community develops superb insights that have the potential to help us innovate in our teaching; our students seek out new ways of thinking and acting around strategy – and we now have the insights to support them. Having resources, such as textbooks, help us legitimize our distinctive approach to studying strategy in the eyes of our colleagues, our administrative staff and more importantly – in the eyes of our students. 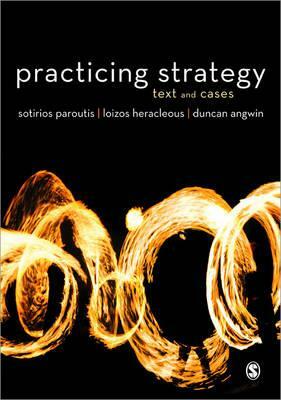 We offer Practicing Strategy as the first textbook dedicated exclusively to strategy-as-practice themes. It provides an introduction to strategy-as-practice and a chapter-by-chapter discussion of its main components. Included you will also find numerous mini-cases and a final section containing longer cases from Apple, Centrica, Marconi, Lafarge and Wikimedia. The Apple case has been awarded the 2013 ECCH Case of the Year Award. More details are available at the Google Books page. This entry was posted in Book Notes and tagged book note, Teaching, textbook. Bookmark the permalink.